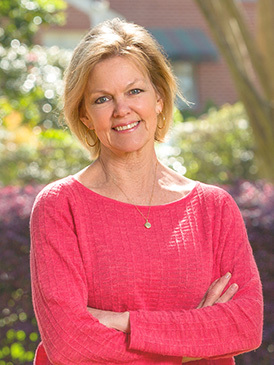 After graduating from the University of Alabama, Jane Albright began her real estate career in 1981 with the firm of Smith & Tyson located in the historic Bell Building in downtown Montgomery. Two years later she obtained her Broker’s license and opened her own firm, specializing in residential real estate in the Tri County area until joining Davis & Copeland Realtors in 1998. A Montgomery native, Jane has had the opportunity over the years to work with many newcomers to Montgomery, as well as families relocating within the Montgomery area. She has watched the real estate market change and grow to include exciting new developments ranging from loft living in the downtown area to homes with acreage in the Pike Road community and beyond. Jane enjoys spending time with her two sons and her two beautiful daughters in law. Philip and Britney Sellers live in Montgomery where Philip practices law and Britney is employed by the UAB School of Medicine Montgomery Campus. Thomas and Jennie Sellers live in Tampa where Thomas is a resident physician in orthopedics, and Jennie is an OR nurse. As a real estate professional, Jane considers it a distinct privilege to have been able to assist so many families and individuals since beginning her real estate career, whether buying, selling, or just getting to know the market. She continues to enjoy the process, and finds that working with the highly professional team at Davis & Copeland Realtors is a key factor in her continued enthusiasm for the work.